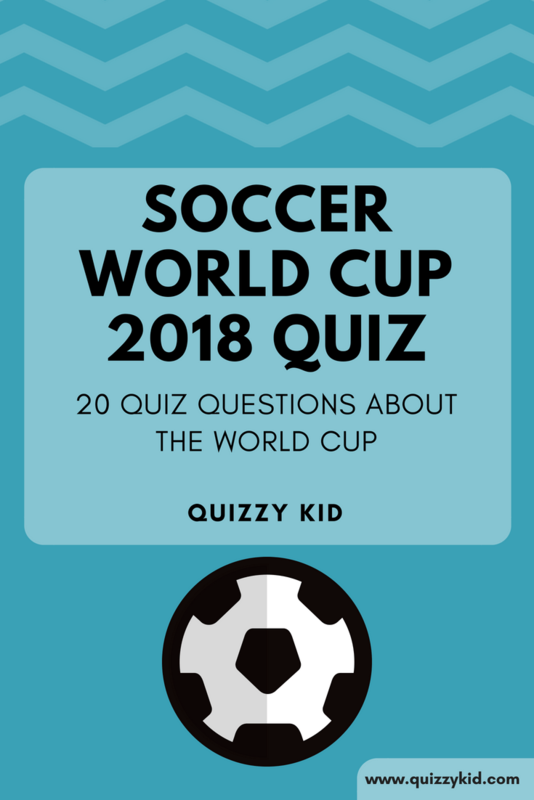 If you want another World Cup quiz then try out our World Cup players quiz. Or check out our Sport page for fun, sports quizzes. Q1. Where is the World Cup 2018 being held? Q2. Who won the World Cup in 2014? Q3. Which team has won the most World Cups? Brazil - they've won 5 times! Q4. Which country won the first World Cup in 1930? Q5. Which player has scored the most total goals at the World Cup? Q6. Who is the youngest ever goalscorer at a World Cup? Q7. Which of these previous World Cup winners did NOT qualify for the 2018 World Cup: Spain, Italy or France? Q8. How many different countries have won the World Cup? Q9. Which player was voted best player at the 2014 World Cup: Lionel Messi or Cristiano Ronaldo? Q10. Which country will host the 2022 World Cup?